The small shop holiday gift guide contains five amazing shops to purchase from this holiday season! 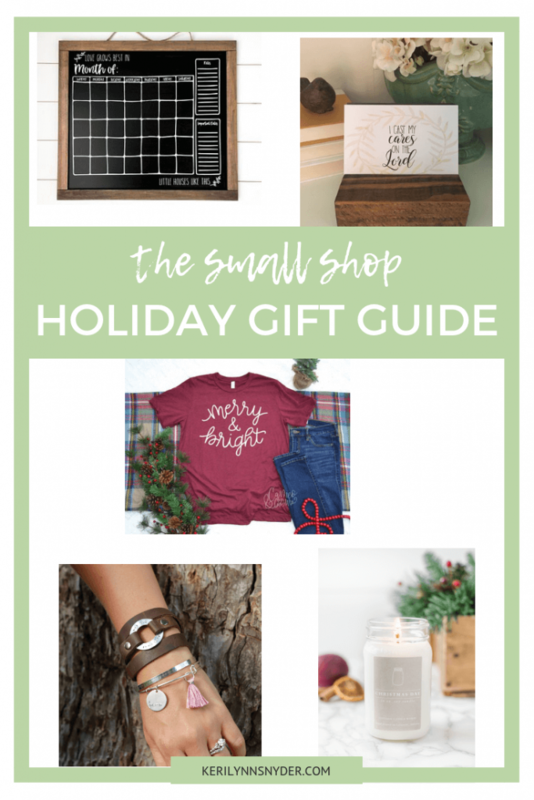 As a small shop fan girl, I loved putting together this small shop holiday gift guide. I truly believe in the importance of supporting small businesses. Today, I am sharing five of my favorite small shops. It was really hard to narrow it down to five! 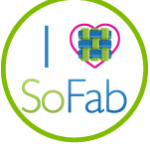 These shops are all perfect to purchase gifts for your mom, sister, wife, or a teacher! 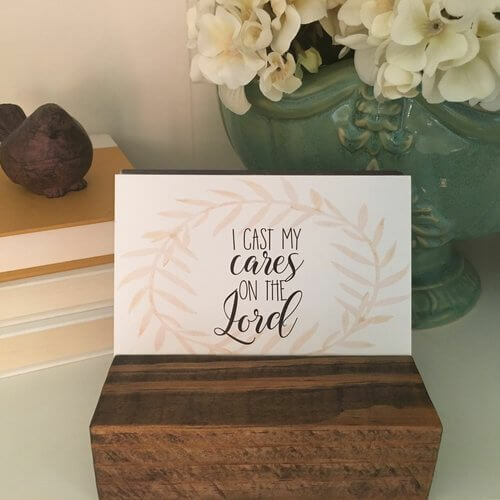 The cards from Intentional Prayer Cards are absolutely beautiful and can sit in a lovely wooden block (for additional purchase). Karen has a variety of options of card sets ranging from prayers for your child to prayers for your home and many more. 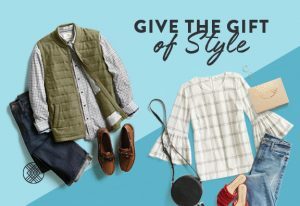 With her many options, you can really find a great gift that is geared towards a specific person. This shop, Oh Lord Help Us, is full of products that keep your mind focused on truth. I love the leather wrap bracelet and the uniqueness of this. It would be a great gift for a friend or sister. Every bracelet is hand stamped and quality made. My favorite bracelet is the redeemed one. 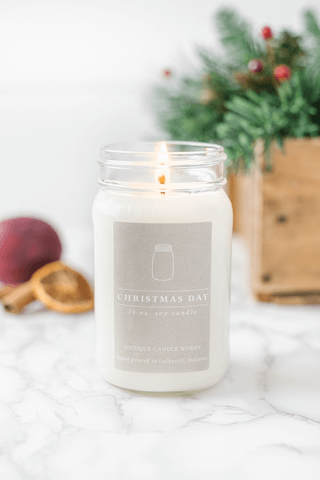 If you are shopping for a candle loving person, you must shop at Antique Candle Works. The candles are by far my favorite and smell divine. Plus, she wraps them so beautifully. You can choose from a specific scent or try a sample pack! 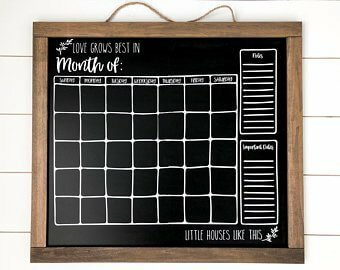 When you shop with this shop, are finding decor that speaks truth into your life and your home. 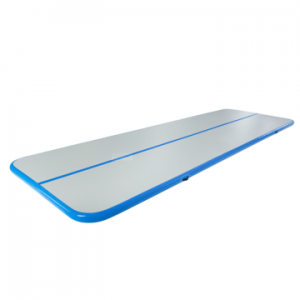 There are a variety of signs you can choose from depending on your style and need. The Busy Bee Life is currently offering a coupon code to my readers and you can read more about that here. A tee shirt and jeans is my go-to outfit. Add in a cardigan for the colder weather and we are all set! This is why I love Cameo and Company. She has the ultimate collection of tee shirts all beautifully designed. 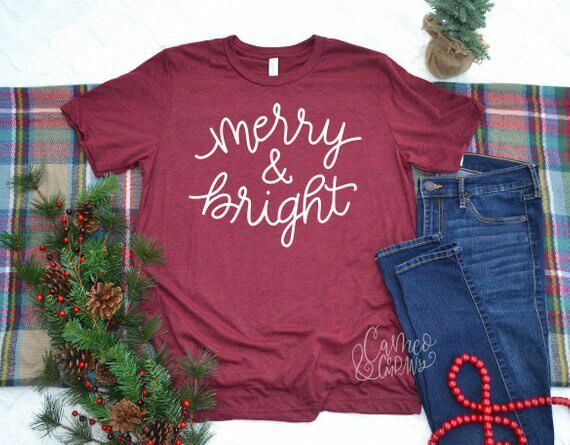 I am loving her Merry and Bright tee for the holiday season! Ready to get shopping? Head to one of these small shops to start checking off your Christmas shopping list! SAVE THESE IDEAS AND PIN THE IMAGE BELOW!